I must say taiji is harder than it looks. But it's worth it. There's so much more to it than I thought! I can actually feel my mind and body working together! Born in Beijing in 1948, Master Cui began training taijiquan at the age of four under the discerning eye of his grandfather, Master Cui Yishi, a close, indoor disciple of Master Yang Chengfu. Since many members of the Cui family practiced taijiquan, young Cui Zhongsan received much encouragement and support in learning taijiquan. With Grandfather Cui Yishi as his coach, Cui Zhongsan began entering taiji competitions very early and won his first championship at the age of nine. At the age of twelve, because of his skills, he was selected to study at the Beijing Amateur Wushu School. In 1960 and 1961 he was the taijiquan champion of the Beijing Wushu matches. From the early 60's into the mid-80's, Master Cui won many competitions. 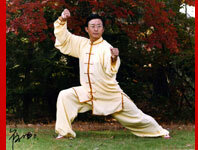 Throughout his career, Master Cui has worked tirelessly to promote taijiquan. He is 8th Duan in the China Wushu Association ranking system, placing him among the top 20-25 masters nationally. He holds the title of First Class Referee awarded by the National Wushu Sports Committee and travels frequently to Chinese and international tournaments and conferences to serve as both judge and master instructor. Master Cui is Secretary General of the Taiji World Youth Association. He is a member of The Beijing Wushu Association as well as many other organizations and committees. He is the head of the Beijing Yong Nian Taijiquan Society, which was founded by his grandfather. 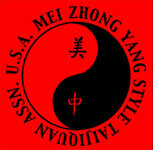 Master Cui's knowledge includes not only the traditional Yang Style training passed down to him by his grandfather, but modern wushu training techniques as well. For his teaching skills, he has been awarded the honor of "Model Teacher" many times. 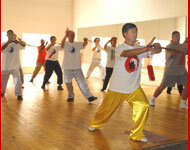 He has published numerous articles, books, vcd's, and video tapes about Yang Style Taijiquan. He makes regular appearances on Beijing TV as taiji instructor and event commentator. In addition to his many Chinese students and disciples, Master Cui has numerous students worldwide who travel to Beijing regularly to train with him. He has been to Japan numerous times as the guest of The Tokyo Taijiquan Society. During recent visits to Japan, his focus has been on training instructors. 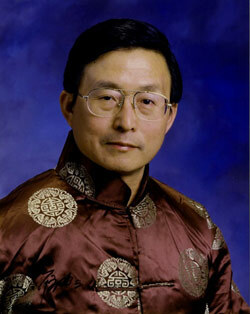 In 1999, Mei Zhong Yang Style Taijiquan Association, U.S.A. brought Master Cui to Atlanta for his first U.S. visit. He returns periodically to personally supervise and expand Mei Zhong training.